Electronic tolling is not a new concept, having first been conceived in 1959. 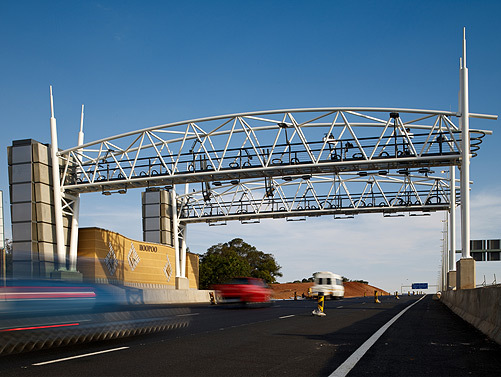 Widespread use of such systems followed in the mid 80s, where electronic tolling operated in unison with the traditional tollbooth and boom collection system – similar to the current national e-tag set-up in South Africa. Open road tolling on the Gauteng Freeway Improvement Project (GFIP) roads uses overhead gantries (all given bird names to generate a warm and fuzzy feeling) to toll vehicles according to their class and works on a distance-travelled principle, whereby users are billed per kilometre of ‘freeway’ used. 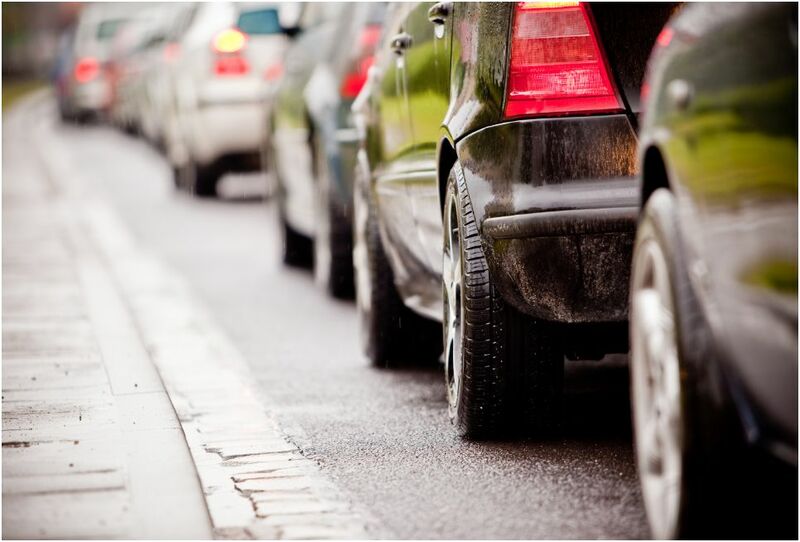 Vehicles are identified via their number plates, or if fitting with e-tags billed to the user accounts. I am not against such systems if traffic is in fact alleviated during peak periods and a percentage of the toll money goes towards developing integrated public transport schemes and road maintenance projects. Time will tell. The Gautrain and supporting bus services go some way to providing a viable alternative for car users who travel daily between Pretoria and Jo’burg – definitely a step in the right direction. To be fair, SANRAL has undertaken a considerable amount of upgrade work to the highways within Gauteng, widening and resurfacing kilometres of road, installing variable message signs (VMS), additional lighting and CCTV cameras along much of the network in order to ‘justify’ the implementation of tolls and recoup some of the expenditure from the end road user. In some cases however, it is evident that quality of product has been sacrificed – bleeding asphalt and poor ride quality on several sections of the upgraded routes. Sections of the R21 have had to be milled and repaved in order to fix ‘washboarding’ (regular bumps with short spacing) and certain sections of the N1 are experiencing similar washboard ride quality issues. Just airing a view, but it might be an idea if SANRAL pursued the construction consortiums involved to see whether or not compensation and remediation measures are warranted and can be effected prior to the open-road tolling implementation. A defective product is not something users will be happy paying for! To get to work I travel approximately 25 kilometres, however not all of the highway I use is tolled. Using the current fee structure tables on SANRAL’s website and following the approved and generously discounted fee tariffs announced this week, my monthly spend getting to and from the office will come to just under R300. Not pocket busting by any stretch of the imagination, however it remains to be seen how long it will be before SANRAL will decide to broach the subject of a price hike. Couple your ‘work’ tolls with social trips however and you might be in a different ballpark, although SANRAL does apply discounts to the toll fees outside of peak periods. Personally I feel that weekends and non-peak periods should be free as the main ideas behind the tolls is to alleviate peak-period congestion, e.g. London congestion charge currently operates between 07:00 and 18:00 during the week and excludes weekends and public holidays. I am also keen to see how toll offenders will be dealt with and how the system will be policed, as it doesn’t take a genius to think about licence plate forging, falsification of details or obscuring plates in order that the cameras can’t accurately capture the licence number. This is South Africa after all! This entry was posted in Transport and tagged autobiographical, e-tags, freeway, gantry, licence, road, SANRAL, South Africa, toll, tollgates, transport by thewhippedhusband. Bookmark the permalink.